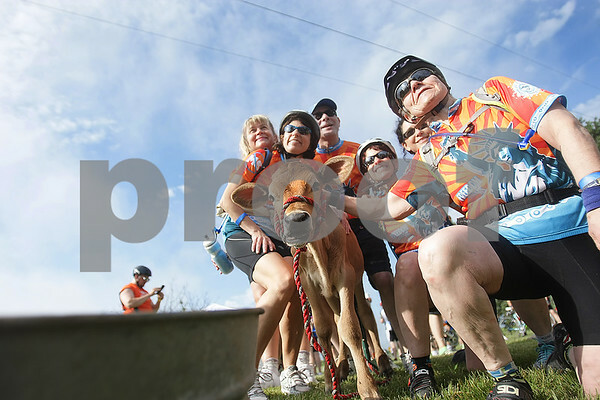 The Tour de Friends team poses with "Tug" the calf at the Carlson's farm rest stop on Malta Rd. in Kirkland after riding 13 miles of their journey through DeKalb County during the Bike MS Tour de Farms on Saturday, June 21, 2014. Emily Greenberg (center), of Chicago, was diagnosed with multiple sclerosis in 1981 and this is her 13th Tour de Farms.